Holden and Renata were married North Georgia Estate Wedding at the beautiful Greystone Estate in Ballground, Georgia. 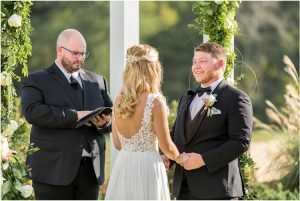 Derrick Fielder with Sensational Ceremonies worked alongside the couple to create a sweet custom ceremony that showcases their love for each other in the most fitting way. They were married in front of their family and friends who clearly love them very much. Special thanks to Mike of MSA Entertainment for providing the DJ services and the wonderful Savannah Eve who was the photography for this special event. Congratulations Holden and Renata Woodworth!